The order regarding the preliminary objections raised by former President Mahinda Rajapaksa’s Chief of Staff Gamini Sedara Senarath and three others was yesterday fixed for November 12 by the Colombo Permanent High Court-at-Bar. Defence counsel appearing on behalf of Gamini Senarath and the three others raised preliminary objections challenging the court’s jurisdiction to hear this case. President’s Counsel Ali Sabry appearing for Gamini Senarath submitted to court that the investigations pertaining to this case were not carried out as required by Chapter 11 of the Criminal Procedure Code. He further alleged that the first information regarding this incident was not before court. 'The first information has been provided by an unknown person. The investigations have been carried out in an unlawful manner, Sabry said. Meanwhile, the Trial-at-Bar bench comprising High Court Judges Sampath Abeykoon (President), Sampath Wijeratne and Champa Janaki Rajaratne fixed the case for trial on November 12. Fourth witness Kalinga Indatissa, PC, was noticed to appear in court on the next trial date to give evidence. The accused are charged with illegally transferring Rs.500 million from Litro Gas to Canwill Holdings Pvt Limited. 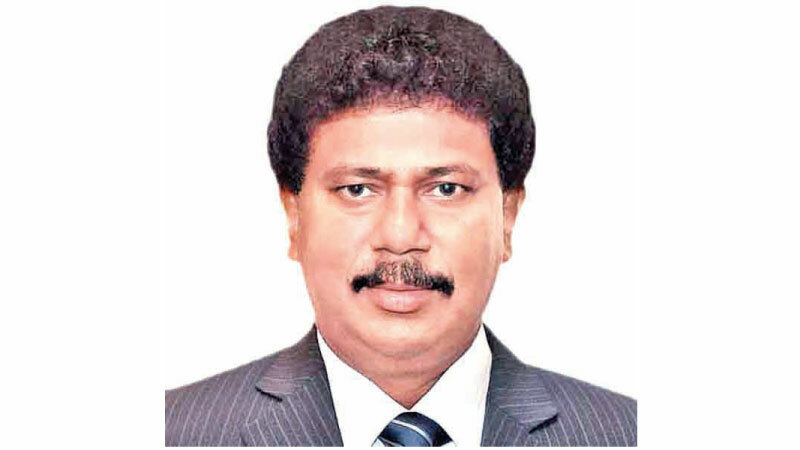 Four accused, former President Mahinda Rajapaksa’s Chief of Staff Gamini Sedara Senarath, former Sri Lanka Insurance Corporation Managing Director Piyadasa Kudabalage, former Samurdhi Commissioner Neil Bandara Hapuwinna and Lasantha Bandara are currently on bail. The four accused have been charged under the Penal Code, the Prevention of Money Laundering Act and the Public Property Act. The Attorney General alleged that the accused committed this offence between February 1, 2014 and January 20, 2015. The Attorney General filed indictments against accused for illegally transferring Rs.500 million from Litro Gas to Canwill Holdings Pvt Limited. The Attorney General further alleged that the money had instead gone into the account of Helanco Hotels and Spa that backed the proposed Hyatt Hotel in Hambantota. The first installment of Rs. 50 million had been transferred on February 14, while Rs. 450 million had been transferred on February 19. Piyadasa Kudabalage, the second accused in the case, it is alleged, on October 13, 2014, again transferred Rs. 48 million from this amount to purchase two plots in Sandatenna, Nuwara Eliya. It is also alleged that another Rs. 18.9 million had been spent to buy an apartment for the use of fourth accused Lasantha Bandara. Therefore, the four accused have been charged for money laundering. Additionally, some of this money was used to pay off a credit card bill amounting to around Rs.700,000. The Attorney General has listed 92 documents as evidence while 63 persons have been named as witnesses. Former Ceylinco group chairman Lalith Kothalawala, Presidents Counsel Kalinga Indatissa, the Central Bank’s former Deputy Governor P. Samarasiri, former Cabinet Secretary Sumith Abeysinghe, Bank of Ceylon and Urban Development Authority officials have been named as witnesses. Deputy Solicitor General Thusith Mudalige appeared for the Attorney General. President's Counsel Gamini Marapana, Anil Silva PC, Ali Sabry PC and Counsel Sampath Mendis appeared for the accused.